The advent of new fabrics and treatments that resist mold and mildew as well as eliminating fading from UV rays has allowed outside living to become a true extension of the rest of your home. No longer relegated to slim choices of flimsy plastic chairs, wooden picnic benches or uncomfortable cast iron table sets, now you can select from loads of cushioned lounge pieces, durable faux wicker, beautiful Adirondack chairs, lightweight rust resistant aluminum and comfy long lasting sling fabric seating. Create a welcoming place to sit with family, relax and read a book, or entertain by pulling together an outdoor conversation area. Furniture choices such as sofas, settees, chairs and even sectionals are available to create seating areas on your patio or deck, creating a second living room space for balmy days and warm evenings. These choices are available in teak, resin wicker and wood or metal frame paired with all-weather cushions. To extend the use of your conversation, entertaining and lounging, patio and deck heaters can take the chill away during cooler evenings. 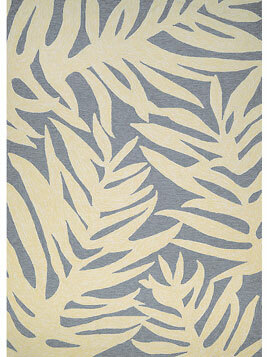 Any of these choices can be accented indoor/outdoor toss pillows that are designed to hold up to sun and rain. And don’t forget a table set to make the most out of your conversation area, including a coffee table and an end table or two so you’ll have a place to sit drinks, snacks, citronella candles and even a decorative potted plant. Probably the most popular choice in outdoor furnishing, outside dining tables come in various wood, cast aluminum, power coated steel, wicker and fabric choices. A great place for a morning cup of coffee, patio bistro sets work well for a front porch or garden area. For family dinners and outdoor entertaining larger tables sets with seating for four to eight people are ideal. Many dining tables accommodate patio umbrellas as well, which keeps meals pleasant on hot sunny days. Whether poolside or patio, chaise lounges offer the ultimate in resort-style comfort to your back yard. They can be added to your conversation area or stand alone in pairs as a place to relax in style to make the most of your down-time. Resin wicker, stretched mesh or metal frame with padded cushion, there are plenty of styles available to achieve the look you love. Made of the same woods or resin wickers finishes as other long-lasting outdoor furniture, outdoor storage benches and chests are a great place to store outdoor toys, extra cushions or gardening accessories; some even have built in coolers which make them handy for entertaining. These benches can also add extra seating to your outdoor living space, with or without a cushion topper. 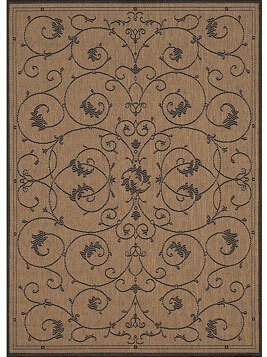 An indoor/outdoor rug adds a polished finishing touch to your outside living or dining area. 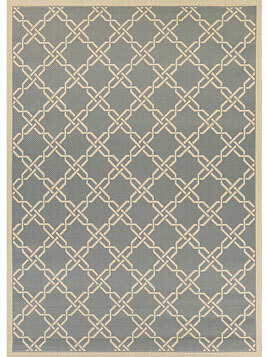 These rugs are made with 100% polypropylene (olefin) to truly resist water, mold and mildew. They are available in on-trend, contemporary patterns and vibrant or neutral colors that stand up to weather and UV exposure. A plant stand adds character and interest to your patio. It is an accent piece that can be used indoors or out to elevate a potted plant or even as a stool or end table to your living space. These can be found in metal, resin or ceramic finishes to add extra flavor to your outdoor space. Whether you are looking to furnish a covered veranda, a semi-enclosed porch or deck in full sun, creating outdoor rooms adds valuable living space to your home.